Imagine the face of a thrilled groom as he first sees his ride to his big day. 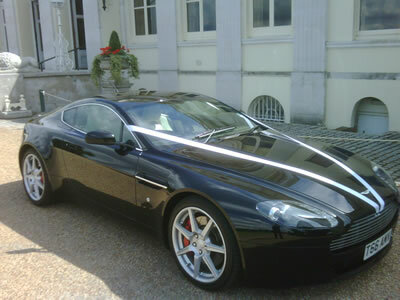 Nothing can beat the thrill of an Aston Martin drive which makes it the perfect chauffeur driven wedding car for a groom. We understand that organising a wedding is like living life in the fast lane. You have been in full throttle with your event planning so we want you to take a deserved pit stop to have a look at our grooms cars. 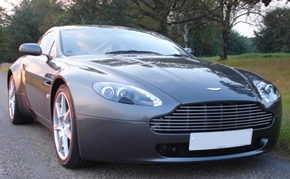 We have an Aston Martin DB9 and a V8 Vantage – both of which are pure thoroughbreds. The performance cars have the pure beauty of Aston Martin as well as the precision and agility. Aston Martin is the supreme in luxury and refinement. Both offering the power, beauty and soul that Astons always include. Nothing can beat the thrill of a chauffeur driven Aston Martin drive. We will help you to choose from our Aston Martin models, all of which are dynamically invigorating. Our experienced and professional chauffeurs will give the groom the chance to be as suave, sophisticated and dynamic as Mr 007 himself.